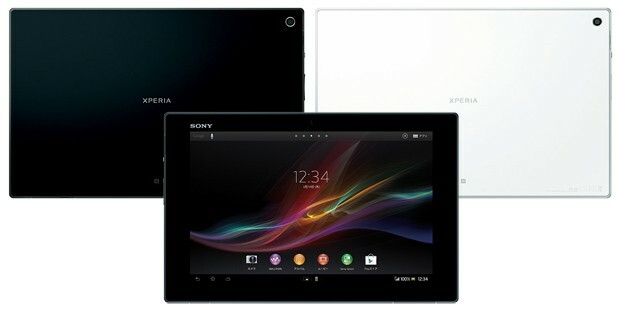 The Sony Xperia Tablet Z is finally official, earlier this morning Sony Japan finally took the curtains off its latest tablet device which is scheduled to arrive in Japan in Spring (around March to May). It features the same design language as the Xperia Z smartphone and packs a whole load of goodness under its 1,920 x 1,200 hood. Running on Android 4.1, the Xperia Tablet Z is powered by a 1.5GHz quad-core Qualcomm APQ8064 processor with 2GB of RAM and 32GB of internal storage. The display is powered by the company’s very own Mobile Bravia Engine 2 for a more vivid and beautiful color reproduction. At the back, the Tablet Z packs an 8.1MP rear shooter with Exmor R sensor that allows you to take great pictures even during low light conditions. Other specs include NFC, microSD memory expansion and Sony’s S-Force virtual surround sound technology. The best part of this tablet is, it packs all goodness are packed into a 6.9mm thin body and weighs just under 500grams; for comparison sake, the iPad mini measures at 7.2mm thin so you can imagine just how sleek this tablet is. No information has been revealed regarding the pricing and worldwide availability, we’ll keep you updated as and when we receive more information.